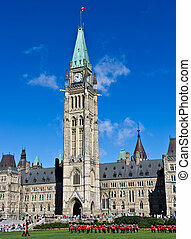 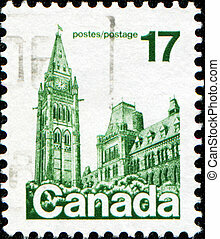 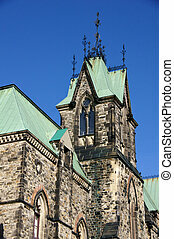 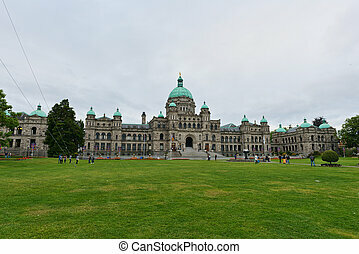 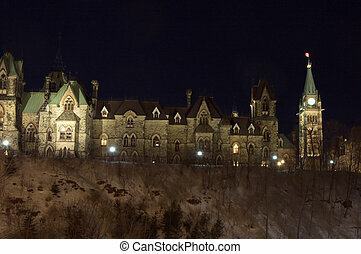 Canada\'s parliament. 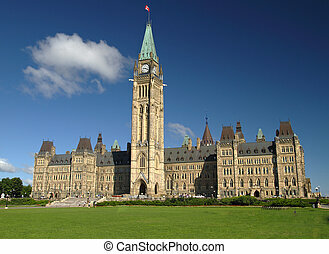 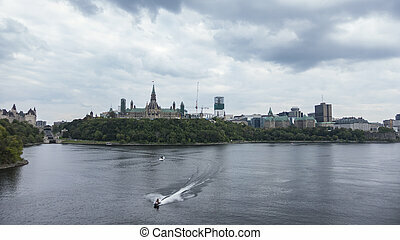 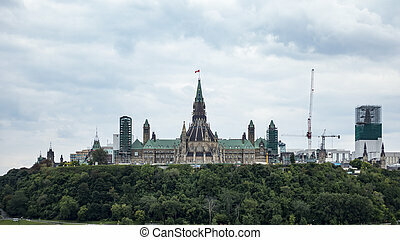 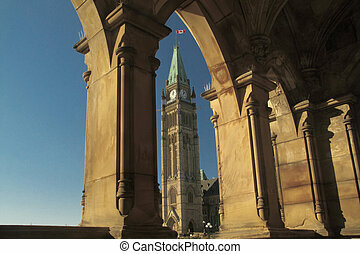 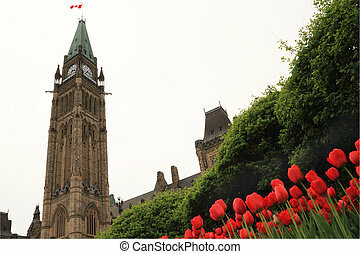 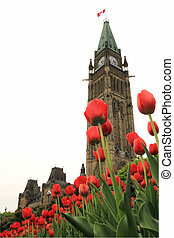 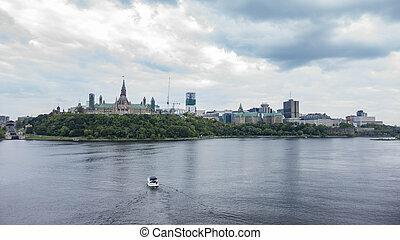 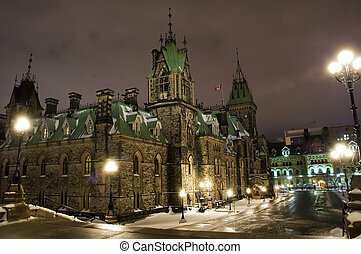 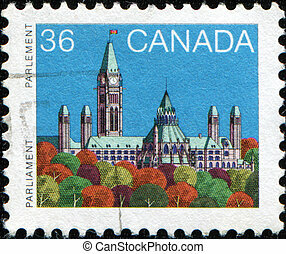 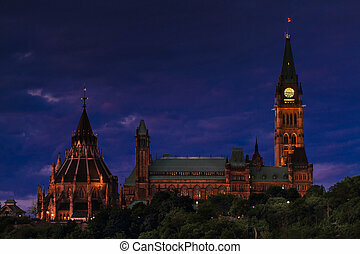 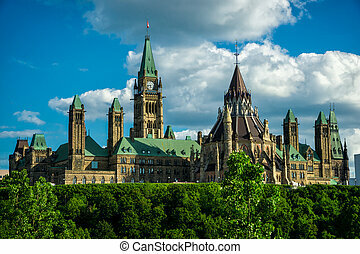 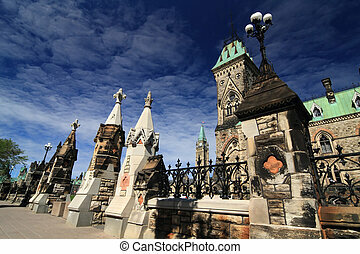 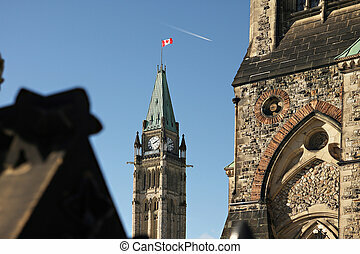 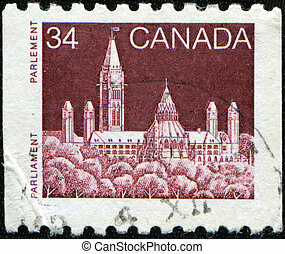 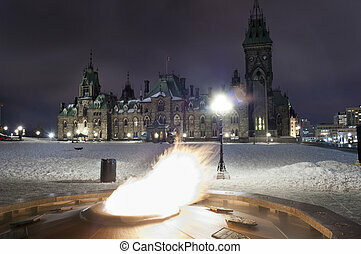 A view of canada\'s parliament building in ottawa. 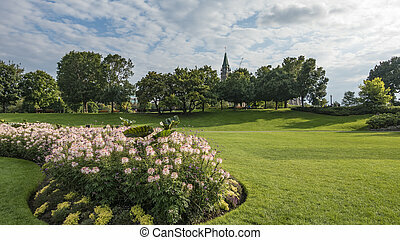 Flower bed with a view Canada's Parliament buildings. 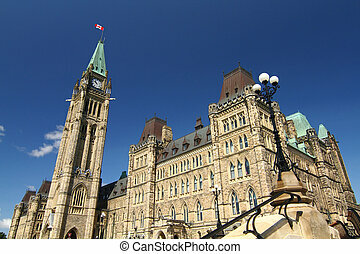 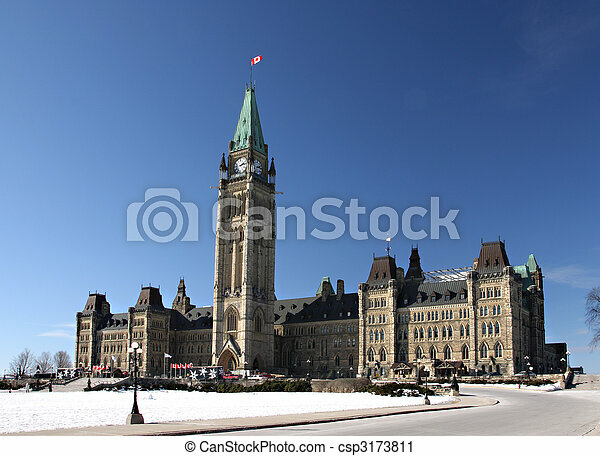 Image of Canada's Parliament Hill and Parliament Buildings, the seat of the federal government of Canada, taken from the back side of the buildings.